This is absolutely stunning! You've captured them both perfectly, and I can't gawp enough about the utter detail you've put in! I adore Leia's hair (*wants the hair accessory*) and you can see the fabric! And Han...still dashing after all these years, and Leia still sparkly eyed. You can feel the love between them and that it's only gotten stronger. 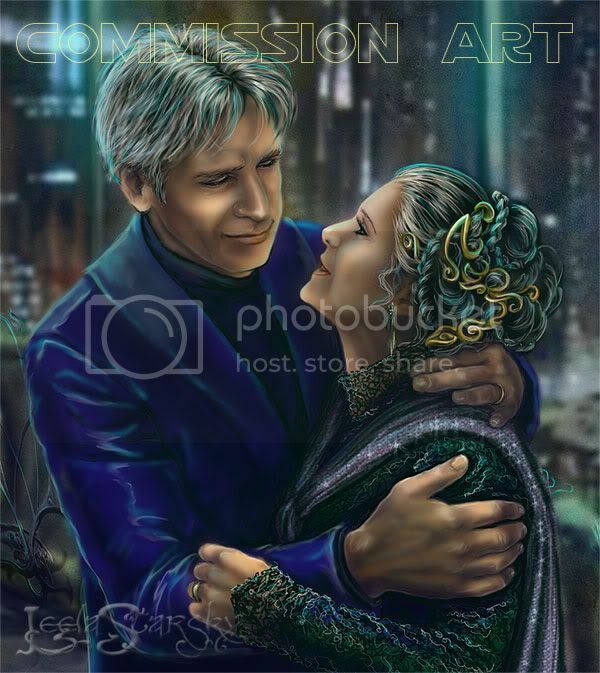 When I saw the photo, I thought that it would be a great inspiration for "Han/Leia as an older, married couple" art. Of course, Harrison and Carrie aren't a married couple in real life, but they are extremely good friends and quite fond of each other. This page was loaded Apr 26th 2019, 8:38 am GMT.